Richard L. Childs, 61, of Creve Coeur passed away Tuesday, January 29, 2019 at OSF Richard L. Owens Hospice Home in Peoria after a courageous 3-year battle with cancer. He was born June 11, 1957 in Peoria to Charles and Peggy Meacham Childs. He married Janelle Hyde on November 8, 2013 in Pekin; she survives. He is also survived by his father; brother, Dave Childs; sister, Vickie (Jerry) Schumm; children, Kimberly Colson, Bryan (Jessica) Childs, Rachel Taylor, Ashley Taylor; step-daughter, Priscilla Poole; grandchildren, Justin, Marissa, Austin, Cole James, A.J., Kevin, Harper, Callie, Jordan, Riley, Anaya, Amyah, A’Mara and great-grandchildren, Rafe and Ronan. His mother preceded him in death in 2011. Richard worked at Ivex Specialty Paper for 23 years; last working in 2016. He was an avid St. Louis Cardinals fan and enjoyed playing softball on many teams over the years including the Richland Baptist Team, Recreational Teams in Bartonville, Ron’s Tap and K-Mart. 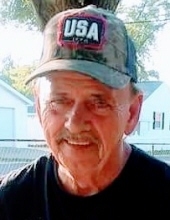 He also enjoyed bowling on many leagues including Roxy’s and Landmark, playing pool, spending time sitting outside listening to music and scrapping, a hobby he picked up in his later years in which he became familiar with many people in the Peoria and Pekin area. Richard was a loving husband, father, grandfather, brother and friend; he will be greatly missed. Cremation has been accorded and a celebration of life will be held in the Spring. Condolences for the family can be mailed to Kim Colson 111 Country Lake Drive, Pekin, IL 61554. To send flowers or a remembrance gift to the family of Richard Childs, please visit our Tribute Store. "Email Address" would like to share the life celebration of Richard Childs. Click on the "link" to go to share a favorite memory or leave a condolence message for the family.